The Seal not only got a handful of peanut butter treats but we also had a celebratory dance party in the kitchen. I don’t think she really understands why I was so excited, but I also don’t think she cares. I mean, who needs a reason to dance? wow, impressive. as has been clear all along, the Seal is one hell of a dog! OMG that is so cute. 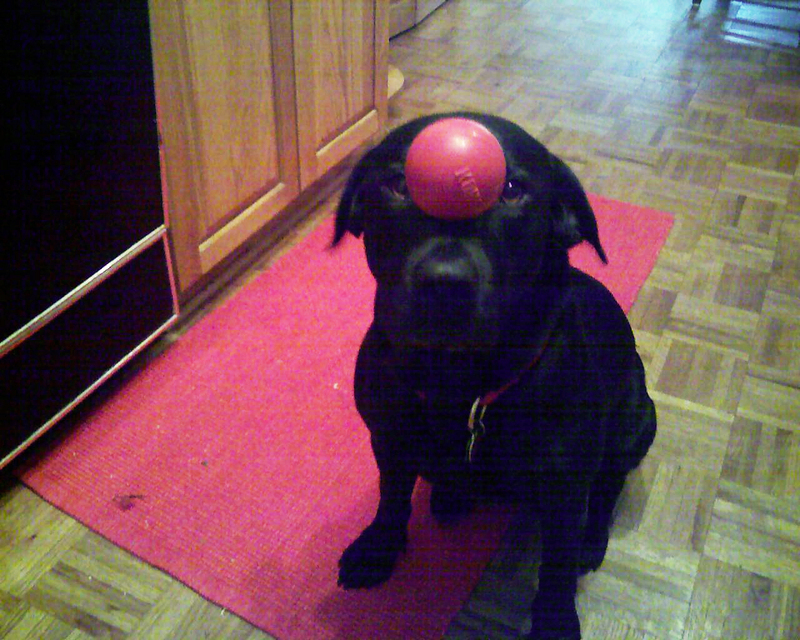 I can’t wait to get home and teach Miso how to balance her kong on her face. This weekend is going to be so fun!